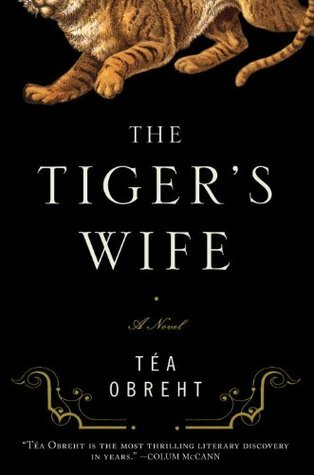 Téa Obreht’s The Tiger’s Wife published this year was the winner of the Orange Prize for Fiction. Usually more accustomed to the art of short story writing, Obreht found herself tackling the novel form and to her surprise, this lucrative choice was a mighty, and pardon the pun- roaring success. Obreht who was born in the former Yugoslavia found herself living in Cyprus during the time of war, then Egypt and finally in America where she established herself as a writer of short stories and now, a novelist. The Tiger’s Wife begins with Natalia receiving a phone call from her grandmother bearing the news of her grandfather’s death, a tune that rang true to Obreht’s own life, for she too had lost a grandfather whom she was incredibly close to and in more than one way, this book appears to be a way of dealing with her own grief. When Natalia receives the call, she doesn’t break down but remains somewhat cool and meditative; this calmness arouses suspicion in her grandmother. Natalia’s grandfather was not only someone who she loved deeply but most importantly, was a companion. They had their own language, a thought and feeling appeared to be conveyed in a way that nobody else could interpret. The setting is an unnamed country in the Balkans and Natalia tells her grandfather’s story; about his home town and the stories of those that inhabited it. The reader is placed in a state of constant movement through a well crafted labyrinth. Through numerous myth and folklore imitations involving supernatural-like beings and extraordinary events one discovers they are in fact reading a novel in the magical realism form. There is the story of the deathless man, the Bear man, and the soft romantic hearted musician who becomes an abusive butcher. Many of these characters according to Obreht are taken from reading old folk tales which she had incorporated into short stories. It’s feasible to say that this piece of fiction is a marriage between the novel and short story form, woven into a beautiful tapestry taken from an archaic time which belongs to the Balkans and its people. Although The Tiger’s Wife overflows with compelling narration from a far away land, a void does exist- there is a blankness of some sort where emotion should fill, but that can be said to be the only flaw. This is one of those books which, when you close the cover for the final time, makes you sit there for a moment staring at the picture on the front and thinking, "Wow!" Obreht writes with the maturity and confidence of an accomplished novelist. Her style is graceful. It is difficult to believe that this is her first novel. If she continues to produce work as sound as The Tiger's Wife, readers should wish her a long career.